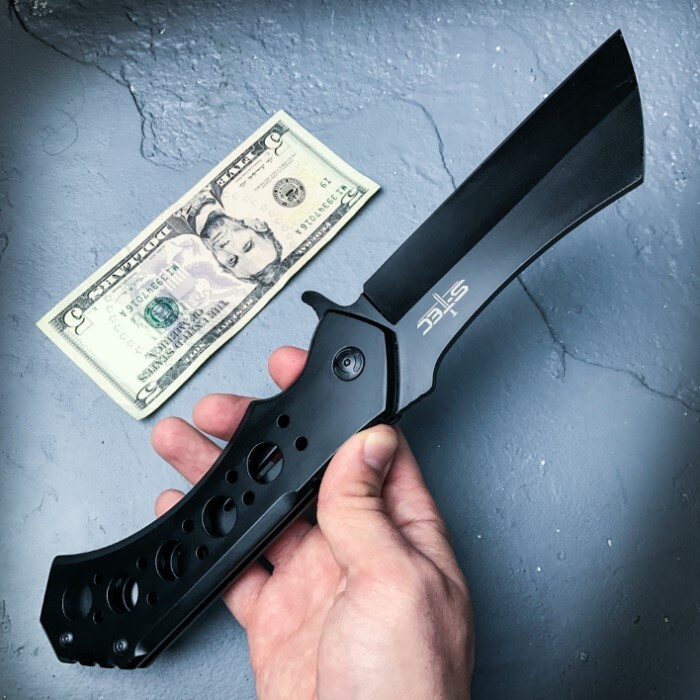 Cleaver Matte Black Pocket Knife With Sheath - Stainless Steel Blade, Ball Bearing Assisted Opening - Length 12” | BUDK.com - Knives & Swords At The Lowest Prices! 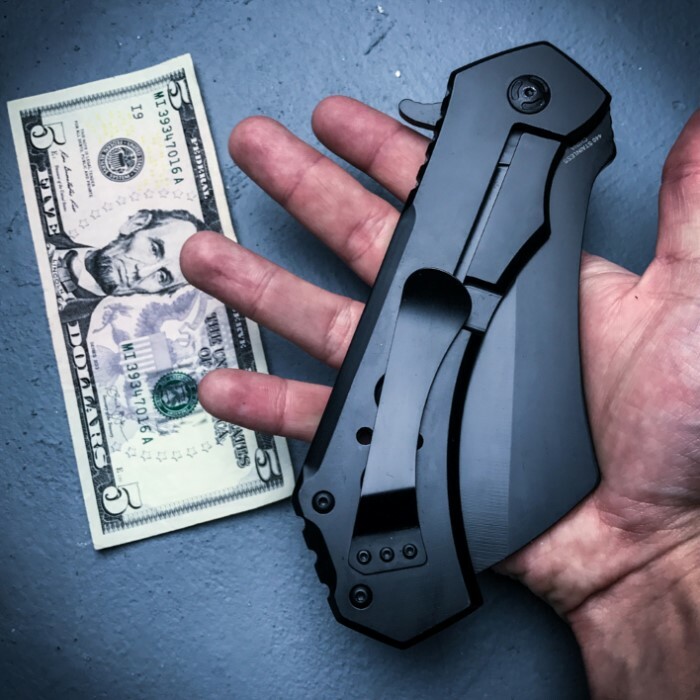 The Cleaver Matte Black Pocket Knife feels like a beast in your hand! It has a massive overall length of 12” when it’s open and a solid, beefy construction. 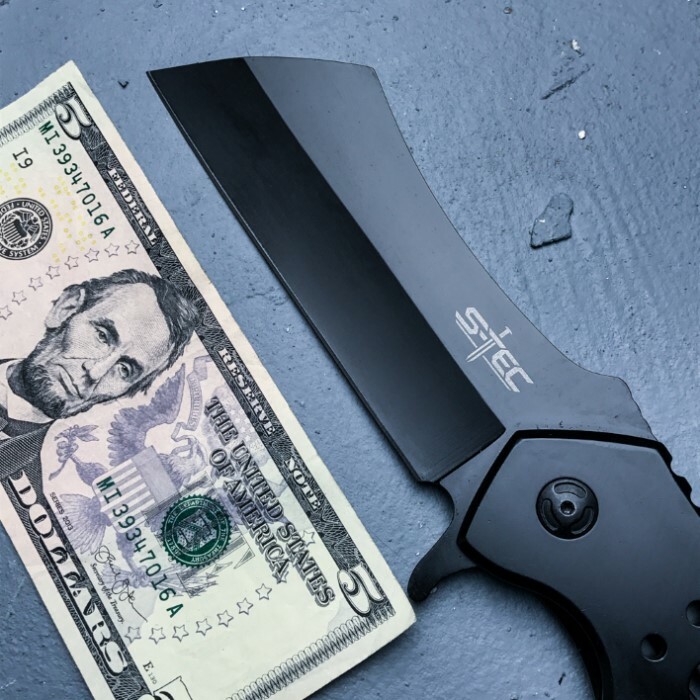 The pocket knife has a hefty 5” cleaver-style stainless steel blade with a non-reflective black coating. It can be quickly deployed with the ball bearing assisted opening mechanism, using the flipper. 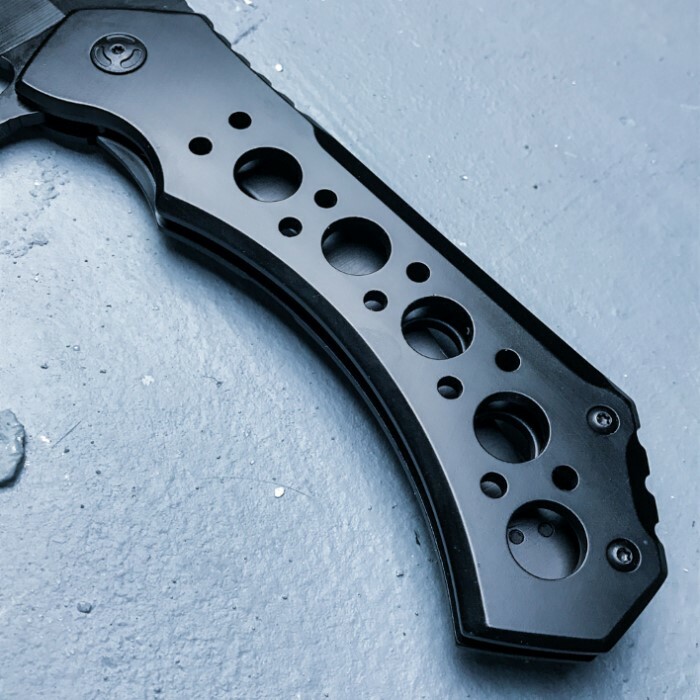 The matte black handle is constructed of stainless steel with through holes, to reduce the weight, and a heavy-duty pocket or gear clip. There’s no other way to carry this beast than in a tough, nylon belt sheath that’s just as beefy! This baby is all business! It came to my door extremely sharp and after a few whacks with the stone I can shave with it. Although its massive appearance is quite intimidating as per the reaction when shown to my friends, it I can easily fold it into the front pocket of my cargo pants. I did notice that, due to its length in my trouser pocket, my keys began to rub against the surface of the exterior somewhat abrasively. 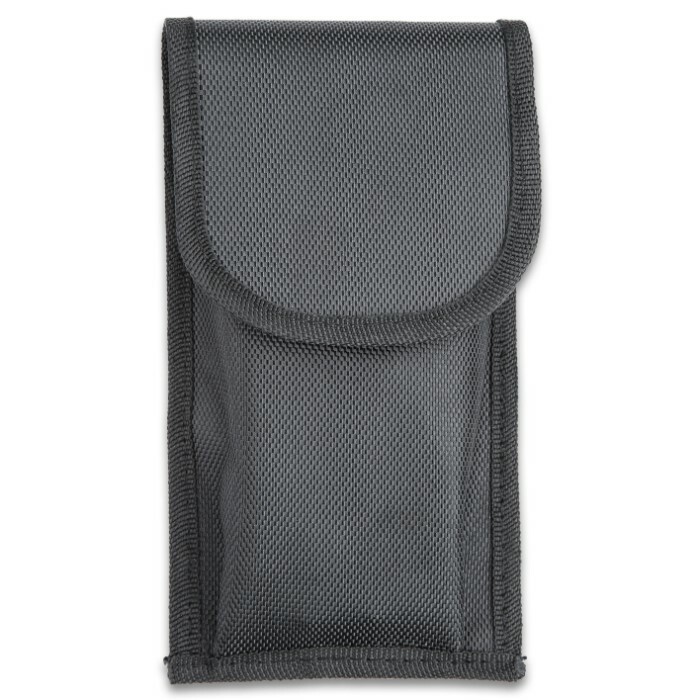 Thus, in order to keep my knife in my right front pocket for ready access when I need a toothpick, I move my car keys to the left pocket. In order to actuate the assist mechanism, it requires one to move the hand all the way to the bottom end of the knife and employing a slight flick of the wrist due to its heft which does take a wee bit of self satisfying practice to obtain competency. I love this baby and retired my government issued Gerber switch blade which I have been carrying for years in order to pack it around as my knife of choice. This knife is not for lightweights. Highly recommended. I ordered this for my bug out bag. 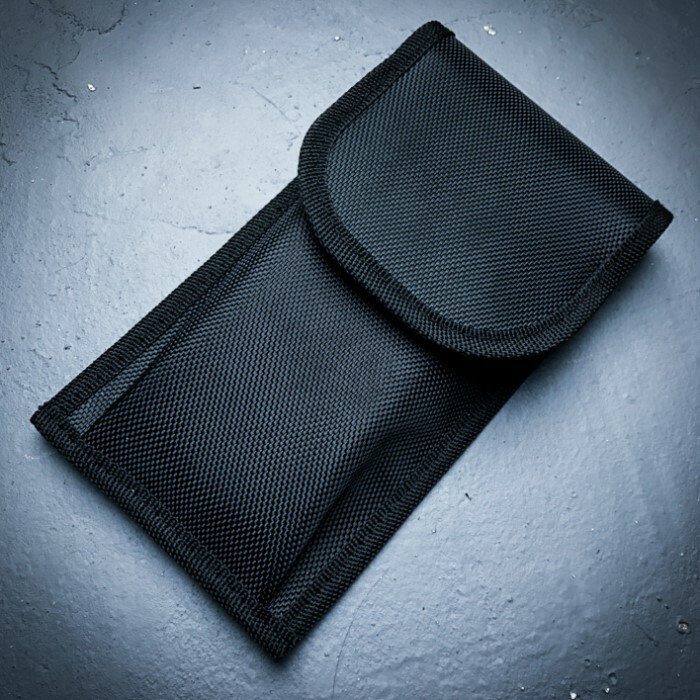 Surprisingly enough, without the included pouch (which is a bit stiff, well made and can fit my Galaxy Note series phone so that's a bonus), the knife fits comfortably into my back pocket, even when sitting in the car. It is massive, heavy and razor sharp...I shaved hair off my arm when I first took it out of the box so no "factory" edge on this bad boy. It'll be perfect for camping, personal protection (let's face it, Crocodile Dundee would be proud of this knife) or everyday carry. 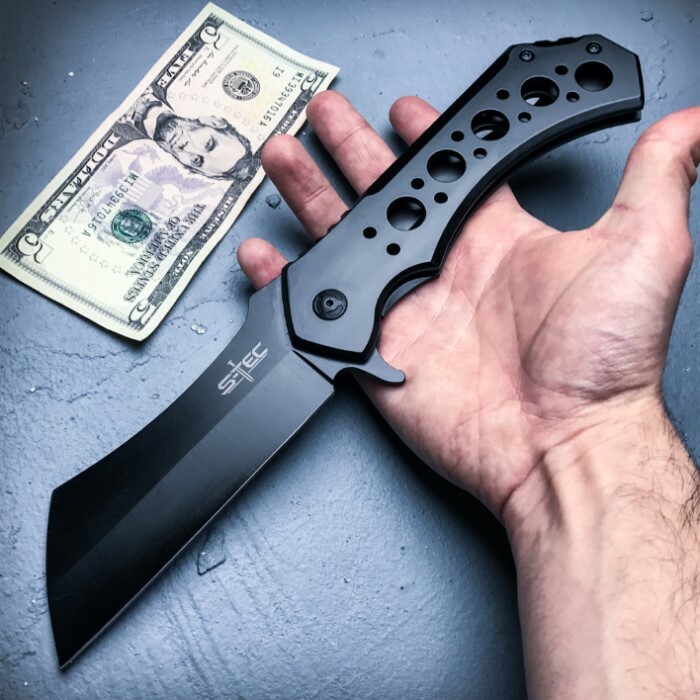 It reminds me of something Jason Voorhees would carry as a backup blade. Highly recommend this for collectors, blade enthusiasts and people who want a great knife for everyday utility use.